Several weeks ago I shared loosely about our Kindergarten Curriculum choices, which I candidly referred to as “Un-Curriculum.” Despite both my husband and I having graduated from Teacher’s College and working within various school systems (Private, Private Christian, and Public), we have seen time and time again how children thrive when they are given the freedom to learn and explore on their own! In nearly ten years of teaching we have used textbooks, paperwork, busywork, interactive lessons, group work, and all sorts of other methods with the goal of engaging classrooms of 20-30+ students to absorb material that has been predetermined by the Province for them to learn and understand. 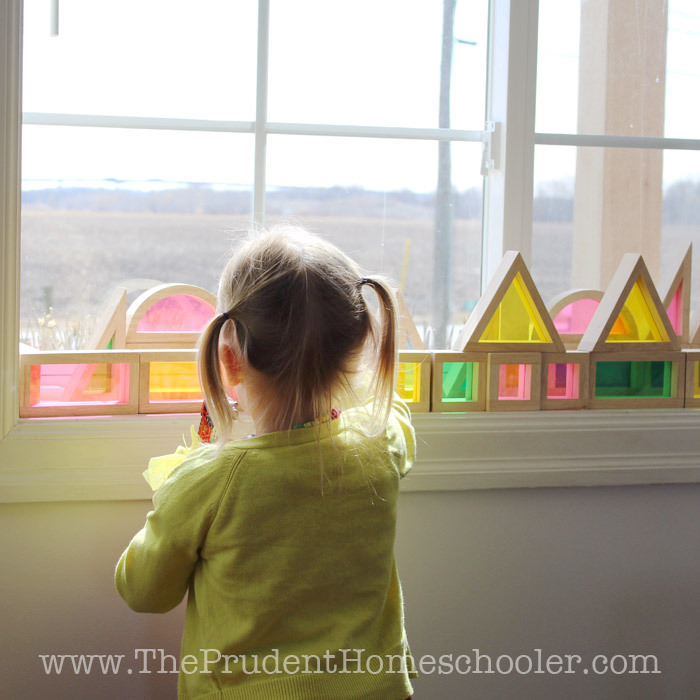 I have cut countless shapes, letters, and numbers to create simple crafts for Kindergarteners to glue together for beautiful products to bring home to Mommy and Daddy. I set out a detailed schedule for 3-5 year olds that controlled every 20-minute block of time from 8:25 in the morning until 3:25 in the afternoon. Children need routine after-all, right? And then we had our first. An energetic, bright, life-loving boy who explored anything and everything he could. 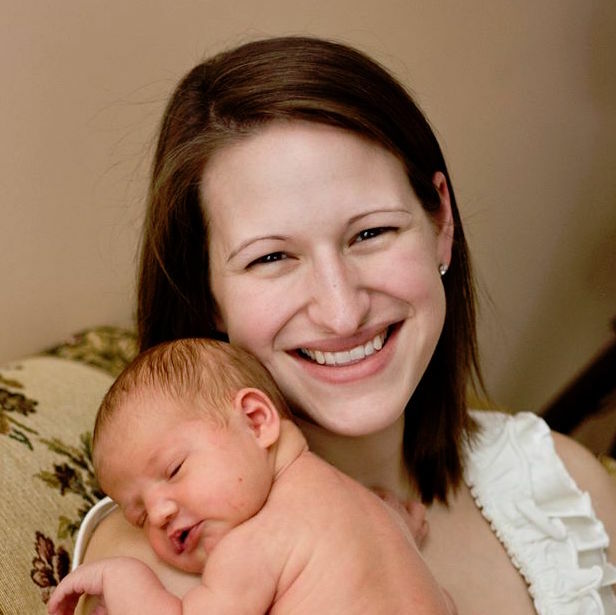 As he grew, I tried to implement Preschool ‘lessons’ with him, teaching him his ABCs and 123s. I was modeling the habits of Preschools in the area, and striving to ‘prepare’ him for Kindergarten. Yet, no matter how hard I tried, I always fell short of my schedule, fell behind in my ‘lessons,’ and overall felt like a failure! 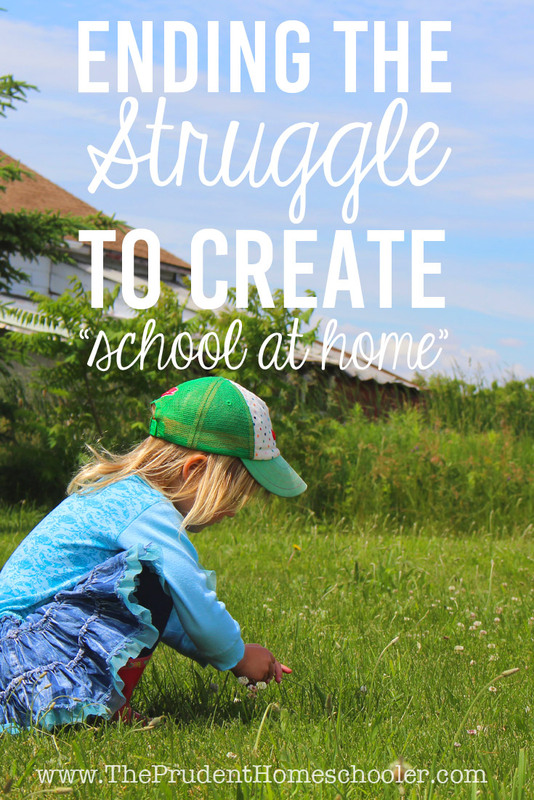 There was no joy in creating school at home. I finally made a choice to let him lead. We read books. We played trucks. 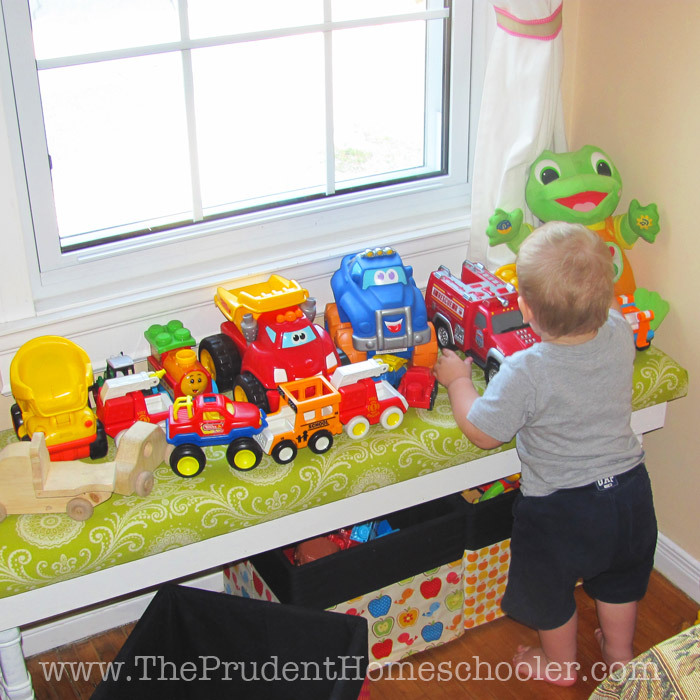 We lined up those trucks and talked about their colour as the trucks drove into their parking spots. When it felt right, we listened to the “T” sound at the beginning of “truck.” Learning became a part of our day. It became fluid and organic. It became a part of LIFE. But now, learning is life. “School” is everywhere at every moment of our day. We are always learning. CHILDREN ARE PRE-PROGRAMMED TO LEARN! My question too is: Why? Why do we feel that need for a curriculum for a preschooler? Our daughter has been learning just fine on her own for three years now! She has taught herself how to crawl, eat, walk, self-soothe, engage with others, demonstrate an interest in activities, books, and people. She has explored the outdoors, climbed our kitchen table (before she could walk! ), and fallen more times than I can count. But she has gotten up, brushed herself off, and forged ahead. She has developed determination and grit. She has even learned her colours, is able to count, and recognizes many letters of the alphabet, simply through play, reading, and conversation. I have never formally taught her these things. We do not sit down for lessons. We live and learn simultaneously together as a family. Your child is simply designed to learn. God has placed within each one of us an innate desire to engage with our family and environment. As we parents begin to recognize the beautiful design of our children’s brains and how development happens naturally with very little help from us, we can gain confidence in simply walking alongside our children as they soak in the world around them. We will begin to more easily recognize the learning that occurs even when we choose to rest and simply allow our children to lead. 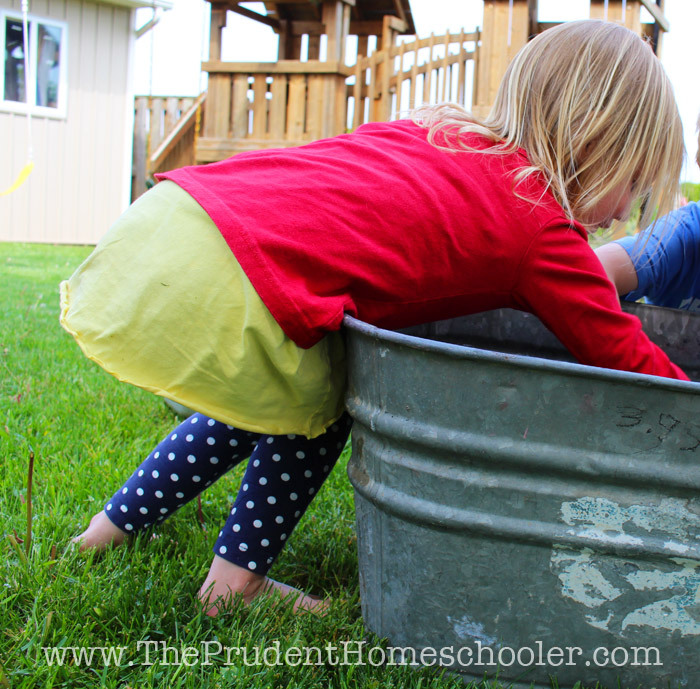 In my next post I will formally share the three easy steps I have chosen to define our Preschool Homeschool. They are gloriously simple and yet fully encompassing of everything that is at the heart of educating little ones. What struggles have you encountered as your children have grown? 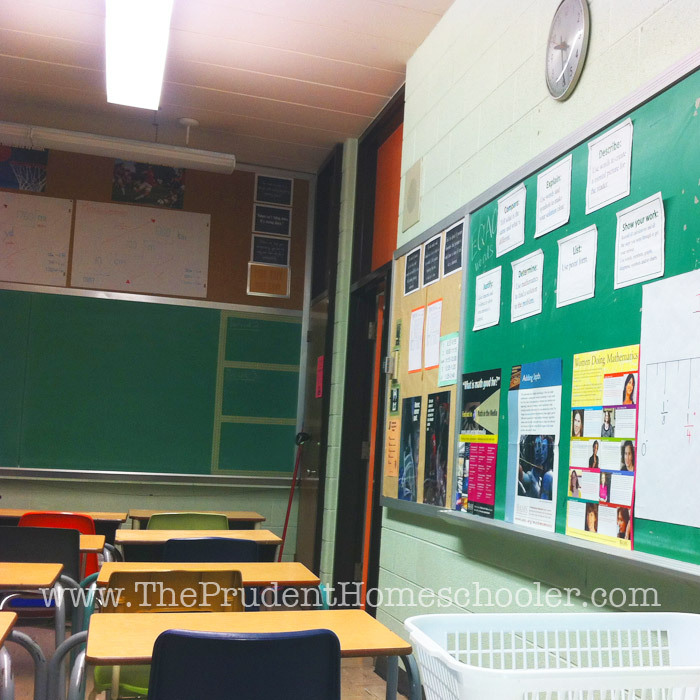 Are there any changes that you have made to your parenting or teaching style? Share with us below! Oh my goodness what a relief it was to stumble across this post! 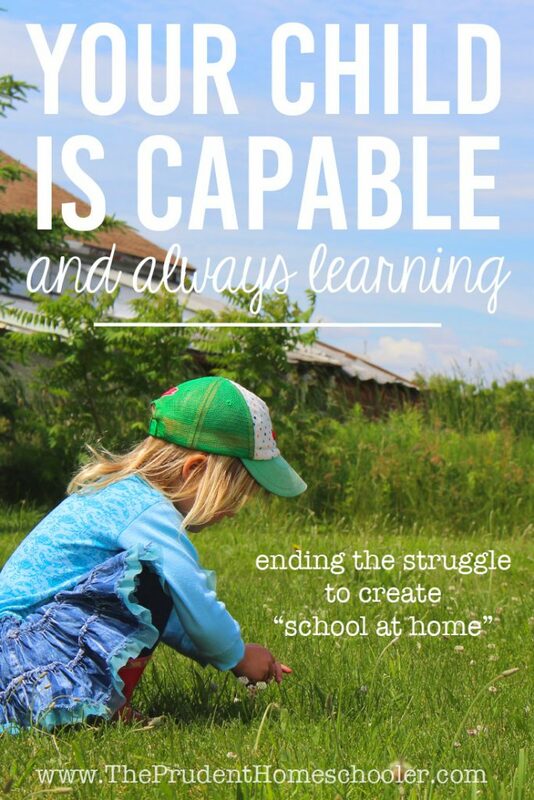 I have been struggling to figure out how to implement a “preschool curriculum” at home, always feeling like I wasn’t capable. This was like a breath of fresh air. My daughter has learned so much on her own through play and that is enough. I have always believed that play is the true teacher but I’ve felt so pressured to sit down with my daughter and have structured “school time”. This is so encouraging for me, I feel like I have permission to let her learn in her own way. Thank you!